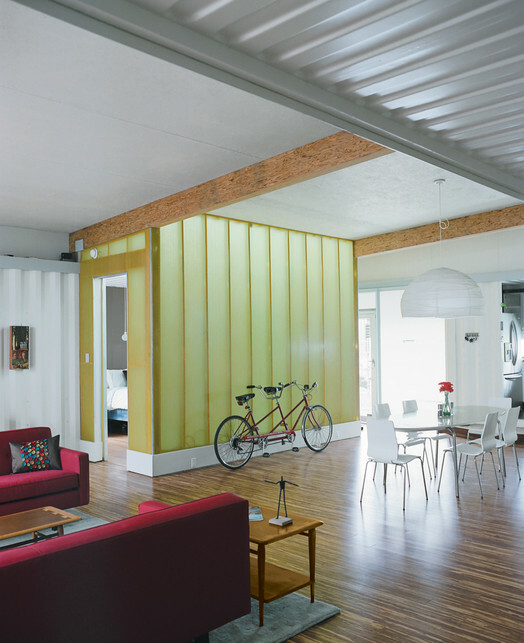 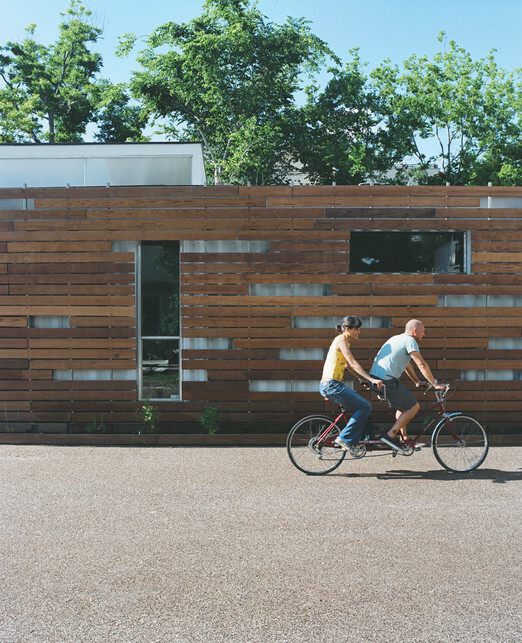 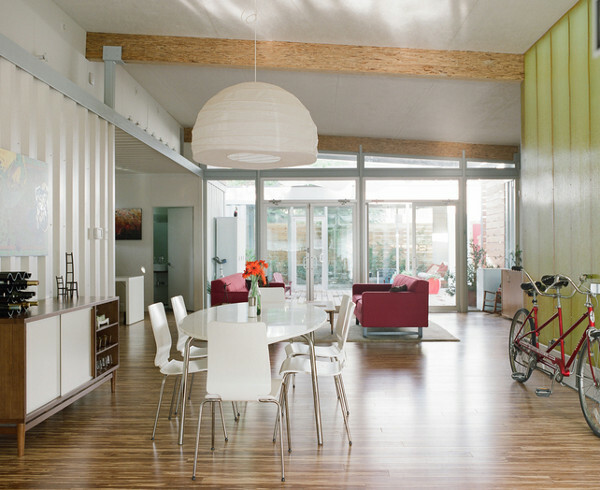 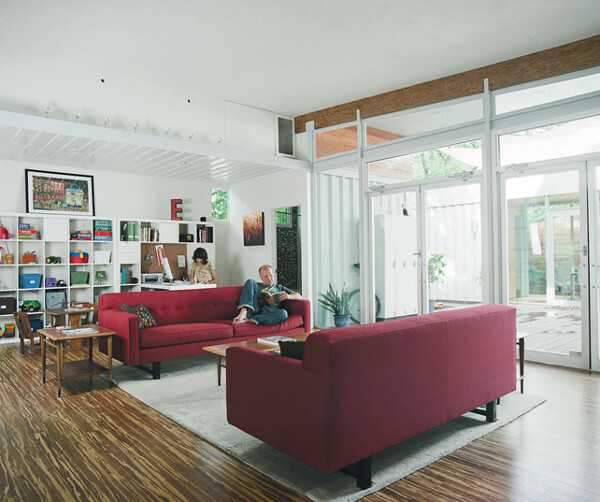 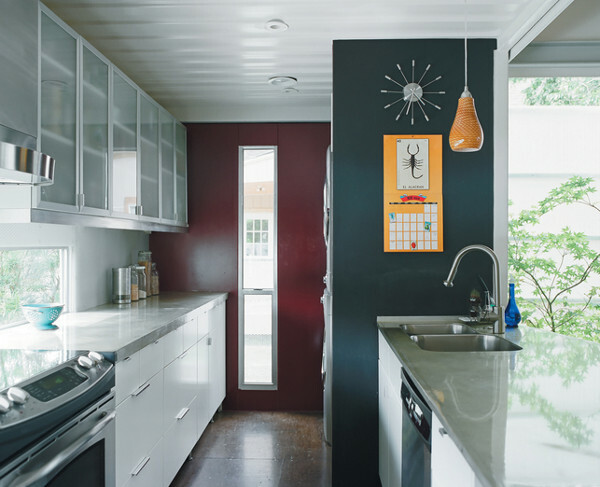 Despite unconventional building elements of this shipping container home, the architects created a traditional rectangular home plan. 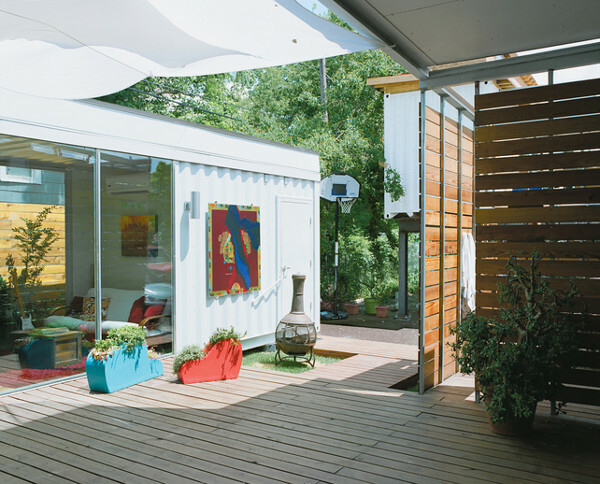 Outside, the three units, one 20-foot container and two 40-foot containers form the three facades, with a glass wall to the fourth completing the perimeter of the home. 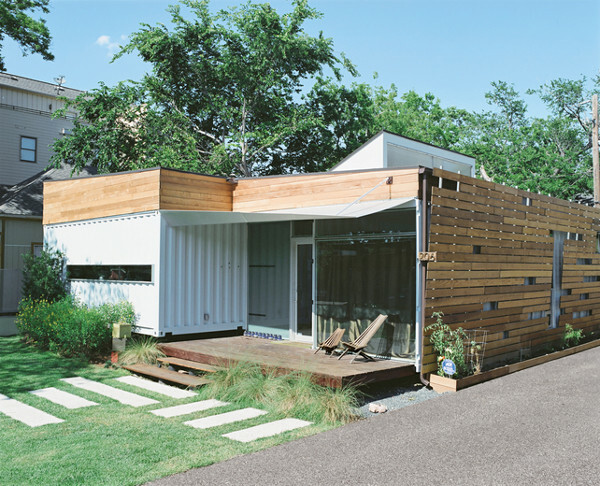 The master suite is placed in the 40-foot unit; the second bedroom and an opening for the playroom and office, also take up the 40-foot module; and the laundry and kitchen rooms house the 20-foot container. 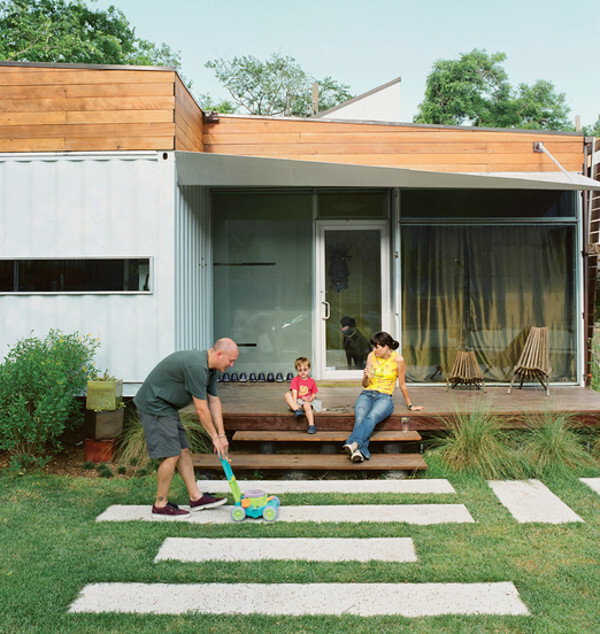 Outside 400 sq ft deck connects the house to a 40 foot container that inhabits the storage shed and guest quarters.